There’s no shortage of email apps in the App Store, but some of us prefer to stick with Apple’s default client. It’s not elegant, nor does it have many of the bells and whistles found on alternative iOS email clients 8 Worthy Alternatives To The iPad’s Native Mail App 8 Worthy Alternatives To The iPad’s Native Mail App The iPad’s native Mail app isn’t for everyone, so here are some alternatives that you may prefer. Read More , but it’s well-integrated into the rest of the operating system and works great with OS X Mail to boot. Despite first appearances, Mail for iOS is much more powerful than it used to be. Here are some of the lesser known features, as well as some tips and tricks that will help you make the most of the app. Connecting an email account to your iPhone is as simple as heading to Settings > Mail, Contacts, Calendars and hitting Add Account. You’ll be able to choose from a list of available providers; or, if you’re using an unlisted provider, you can input your own server details under the Other option. If you have a Google Apps account for work or managing a personal domain How To Set Up Email On Your Own Domain With Google Apps How To Set Up Email On Your Own Domain With Google Apps If you run your own website or self-hosted blog it’s a good idea to have an email that shares its domain. This will lend additional credibility to your website and make it clear that people... Read More , be sure to choose Google — even though you don’t have an address ending in @gmail.com. From the Mail, Contacts, Calendars settings you can elect to choose a default email account. This is the account your phone will default to when starting new messages from other apps, for example when sharing via email using the Share menu. You can always change this while drafting your message by tapping the From field and choosing another account. This settings menu also allows you to change your Signature for each connected account, so you can get rid of “Sent from my iPhone” and add something a little more personal if you like. 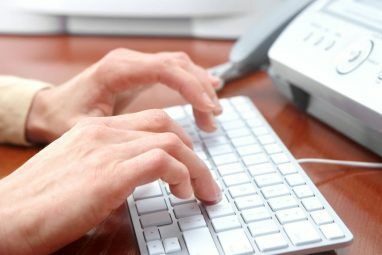 In defense of Apple’s default sign-off, stating your message was sent from a mobile device helps excuse some of the common errors that arise when typing an email in a hurry. By default, Mail creates inbox mailboxes for each account you add, as well as a few others like VIP. Launch Mail and head to the Mailboxes screen (you may need to back out of whichever account you’re currently in), then hit Edit to pick from a long list of available mailboxes. These include all messages from each account added to your phone, in a conglomerated view. To or CC: For mail in which your address appears in the to or cc field, handy if you use a lot of mailing lists at work. Today: All mail received in the last day. All Sent/Drafts/Trash/Archive: For quick access, perfect if you don’t know which account you used. Mail with Attachments: Super-handy for finding documents recently mailed to you. If you use Google for email, and you’ve set up a tight system of labels for incoming mail based on certain criteria How to Set Up Email Filters in Gmail, Yahoo Mail, and Outlook How to Set Up Email Filters in Gmail, Yahoo Mail, and Outlook Email filtering is your best tool in keeping your inbox neat and organized. Here's how to set up and use email filters in Gmail, Yahoo Mail, and Outlook. Read More , you can create mailboxes for each specific label by tapping Add Mailbox and choosing your Gmail or Google Apps account. When Gmail came along, we were all told that we never need to delete an email again. Overnight, archiving became the norm — which is fine if you aren’t inundated with press releases, newsletters, spam messages that slip through the cracks What Everybody Ought to Know About Dealing With Email Spam What Everybody Ought to Know About Dealing With Email Spam It might be next to impossible to stop spam completely, but it's certainly possible to reduce its flow to a trickle. We outline some of the different measures you can take. Read More , and utter gibberish from people you never wanted to speak to in the first place. iOS Mail also prefers archiving messages by default, but you can change this setting in a well hidden menu. You’ll need to change this behaviour for each account you have connected. Head to Settings > Mail, Contacts, Calendars and tap on the account you want to change. Tap on the Account field in the menu that opens up. Check your Mailbox behaviours are set up correctly — Archive and Deleted mailboxes should be “All Mail” and “Trash” respectively. Choose Deleted Mailbox under Move Discarded Messages Into. Note: For iCloud Mail (and maybe a few other) accounts, you won’t need to tap the Account field after you’ve selected the account you want to change — just scroll down to the bottom of the page and hit Mail under the Advanced section. Depending on your mail account type, try tapping and holding the Archive/Trash button to bring up both options when reading a message. Deleted a message by mistake? Moved something somewhere you shouldn’t have? Give your phone a quick shake and you should be able to undo it. I’ve found this feature to be a bit hit-and-miss; I can undo deleting a message in Gmail but I can’t always undo moving messages or other functions. It’s a good idea to add an “All Trash” and “All Archived” mailbox on the main screen — you can usually find what you’re looking for in there when undo fails you. Many of us have old email accounts we need to keep around but rarely ever check — whether it’s for registering throwaway accounts, signing up for competitions, or simply because a username like cool_dude_420@something.com doesn’t make for a great first impression. 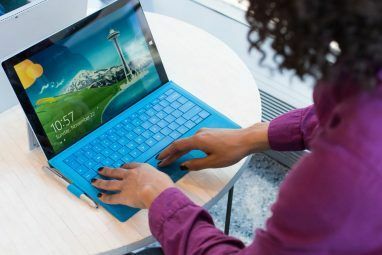 You might need access to these accounts on your phone for password recovery purposes, but you might not want to receive notifications or have them show up in your unread count on your Mail badge. Fortunately iOS lets you customize notifications and badge counts on a per-account basis. Head to Settings > Notifications > Mail and tap the account you’d like to change. You can set a notification sound, decide whether or not to show the account in Notification Center or on your lock screen, decide whether your unread count shows up by toggling Badge App Icon, and even disable mail previews for an account. You can also set up iOS to notify you to replies within a thread by swiping right-to-left quickly on a message in list view, tapping More, then selecting Notify Me. One of Mail’s best features, Continuity, allows you to switch seamlessly between devices What Does Continuity Mean for Yosemite & iOS 8? What Does Continuity Mean for Yosemite & iOS 8? OS X 10.10, better know as Yosemite, is a major Mac update that offers numerous features never seen before in an operating system. One of the most important is Continuity. Read More without losing track of what you’re doing. It works with a selection of apps, including Safari and third-party apps like Evernote, but it’s probably most useful when used alongside Mail. The feature uses iCloud, so you’ll need to ensure you’re signed into the same iCloud account (Apple ID) in Settings > iCloud (or System Preferences > iCloud for Mac users) on each device. Start drafting an email on your Mac or iPad and pick it up on your iPhone from the lockscreen by looking for the Mail icon in the bottom left corner, or via the app switcher by double-tapping the home button. You’ll only be able to retrieve the message on a second device while the app is in use on the first, and it works both ways — you can pick up an email you’re drafting on your iPhone on your Mac by looking for the Mail icon in your dock. If some messages from certain individuals are more important to you — family, your boss, your partner — then you can set up a VIP list to ensure you never miss anything. If you’ve already turned the feature off, you can re-enable the VIP mailbox by reading the Add More Mailboxes section of this article above. Launch the Mail app, and from the Mailboxes screen, tap on the small i to customize the list. You’ll have to create contact entries for each email address you want to add. You can also set up custom alerts and notification behavior by heading to Settings > Notifications > Mail > VIP. Apple added swipe gestures to Mail in iOS 8, and iOS 9 allows you to customise this behavior. Head to Settings > Mail, Contacts, Calendars > Swipe Options and choose between: Nothing, Mark as Read, Flag, Move Message and Archive. Archive will be “Trash” depending on whether you’ve changed the default behaviour as per the Delete Messages Instead of Archiving section above. This is a feature that many other email clients have implemented, and it can really help you reach inbox zero 5 Action Steps for Curing Your Inbox Zero Email Frenzy 5 Action Steps for Curing Your Inbox Zero Email Frenzy Inbox Zero is one of the most popular buzz words. To truly solve your email issues you need to go beyond Inbox Zero and address the underlying problems. Read More a lot faster if you remember to use it. Sometimes when you’re typing a message, you might need to head back to your inbox to check something. Luckily, iOS Mail allows you to minimize your current draft by grabbing the subject title and dragging it to the bottom of the screen. Find what you need then resume your message by tapping it again. Does flagging a message not feel the same without a physical representation of a flag alongside it? Who thought an orange dot was a good idea anyway? If you’ve been tearing your hair out since Apple changed this in iOS 7, help is at hand. Head to Settings > Mail, Contacts, Calendars to change Flag Style to Shape. Now breathe. Hopefully these tips will help you better manage your email with Apple’s default mail client. 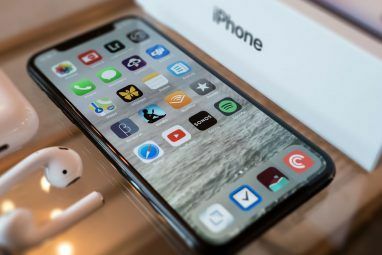 If you still can’t get on with it, you might want to try switching to something else Are You Using the Best iPhone Email Client? Are You Using the Best iPhone Email Client? 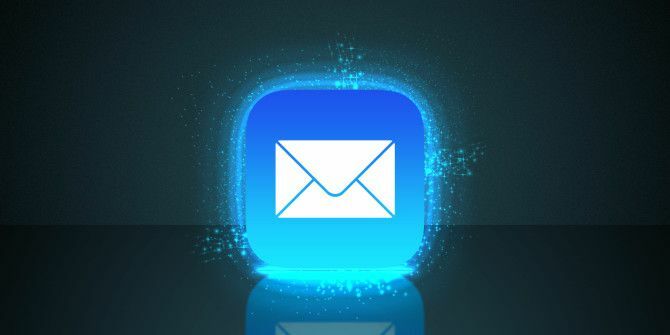 The number of iPhone email clients has exploded over the last year, ever since Apple's "no two apps that do the same thing" rule appears to have been retired in favour of common sense. Apple's... Read More . There are even a few Google-friendly apps for Gmail users Proper Gmail On Your iPhone: 4 Google-Friendly Email Apps Proper Gmail On Your iPhone: 4 Google-Friendly Email Apps Which app gives you the purest Gmail experience on your iPhone? We tested a wide variety of today's popular email apps to find out. Read More which will let you use things like labels and filters more effectively. Do you have any Mail tips or favorite features we missed? Let us know in the comments. Explore more about: Apple Mail, Email Tips, iOS. Ummmm.....so powerful that there is NO SORT functionality. I guess this is to keep you from deleting emails you don't need running the risk of your in box being empty and the Yahoo weenies panicking about their usage metrics.